January is an expensive time to like wine. The new year brings sales, each more tempting than the last, plus a new vintage of en-primeur Burgundy, if that’s your thing, and the usual steady stream of merchants’ offers. I have resisted reasonably well, even though there have certainly been some bargains to be had. One, though, caught my attention: The Wine Society’s “chocolate indulgence case”, presumably intended as a Christmas present but reduced in January from £40 to £12.95, and then again to £9.95. There’s only one bottle of wine inside, a sweet red made from the tannat grape which normally costs £12.95 on its own. So what they were essentially offering, by the end, was not just a discount on the wine, but a load of free chocolate and free delivery as a (literal) sweetener for the effort of opening your front door and taking it off their hands. I bought four. I thought it would be a good thing to take to friends’ houses if they invite us round to dinner, or a birthday present, or a Valentine’s treat for Mrs CF. 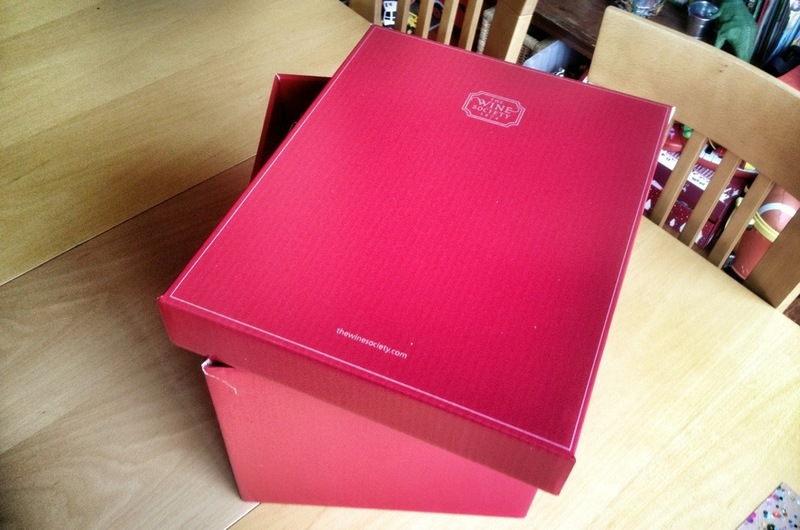 What I didn’t think, though, was that the box would be so ruddy enormous. It’s only 50cl of wine and a bit of chocolate, after all. So much for keeping them a secret til February 14 – they’re currently taking up most of the living room. It seems that when I decided it looked like an enormous bargain, I still didn’t realise quite how big my bargain would be.